This will be the third year that the fair has been presented at Londons Saatchi Gallery. LONDON.- The Crafts Council announces exhibitors for COLLECT 2011: the international art fair for contemporary objects, which will take place at the Saatchi Gallery, London from 6-9 May 2011. This will be the third year that the fair has been presented at Londons Saatchi Gallery where 37 of the worlds finest international craft galleries will showcase and sell exquisite objects by new and established artists. Between them they will display the very best ceramic, glass, jewellery, textile, wood, furniture, silver and fine metal work in the world. A first for COLLECT 2011, a project space will also exhibit new site-specific artist installations and works to commission. COLLECT is Europes premier annual fair for museum quality contemporary craft. Since its inception in 2004, each year the fair has attracted over 10,000 collectors and visitors from around the world. Past acquisitions have been made by museums including the V&A, British Museum and the National Museums of Scotland. 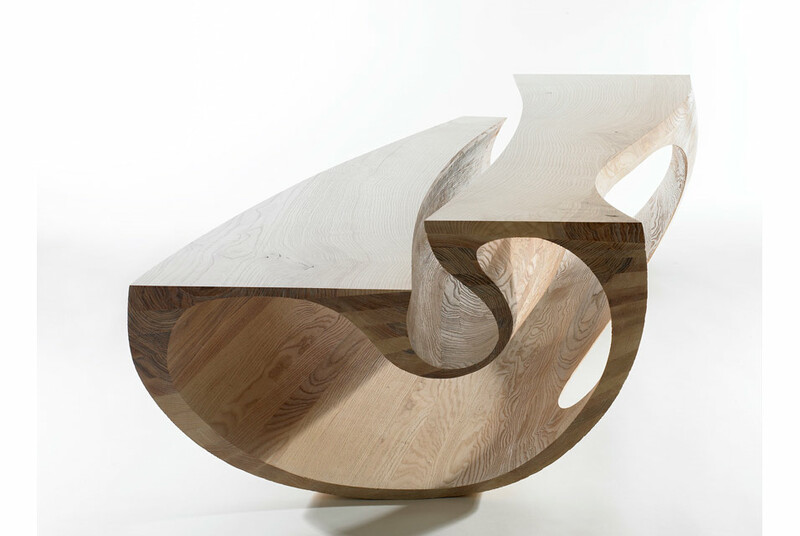 Between them, the galleries exhibiting at COLLECT 2011 will present new work from a stable of artists that includes Tobias Mohl, Betty Woodman, Kate Malone, Wendy Ramshaw and Michael Eden. Major dealers returning for 2011 include Galerie Marzee (Netherlands), Clare Beck at Adrian Sassoon (UK), Galerie Besson (UK) and Blås&Knåda (Sweden), while The World Crafts Council (Belgium), Pärson Livén (Sweden), Antonella Villanova (Italy), Tyger Glyn Gallery (UK) and New Brewery Arts (UK) will all exhibit for the first time. To complement the fair, a new project space on the second floor will showcase installations by individual artists and creative collaborations for COLLECT 2011. Illustrating the cutting edge of artistic craft practice, the works fall into three distinct strands: function, installation and colour. Highlights will include a living wall installation by Rosa Nguyen that will evolve throughout the fair, work showing a radical new direction from ceramicist Katharine Morling, and a large-scale collaborative installation from Ptolemy Mann and Lubna Chowdhary. For the fourth consecutive year the Crafts Council and The Art Fund will present Art Fund Collect, a £75,000 partnership scheme offering UK curators the chance to buy an outstanding piece of contemporary international craft for their museum or gallery. Taking place on 5 May 2011, the preview day of COLLECT, shortlisted curators will have one hour to pick one object and then justify their selection to judging panel. To date, Art Fund Collect has provided £200,000 of new work for public museums and galleries around the UK. Events and talks for COLLECT 2011 will be taking a new, more intimate turn, with the full programme of activities published in February 2011. Kahmann Gallery Presents "Talents of the Royal College of Art"